This Rebel Alliance Star Wars Wedding Ring is the matching men’s band to a star wars engagement ring we created. It features the rebel alliance logo mixed in with a few of the shapes from princess Leia’s outfit in the the ROJ. However, other shapes can be used as long as they fit. 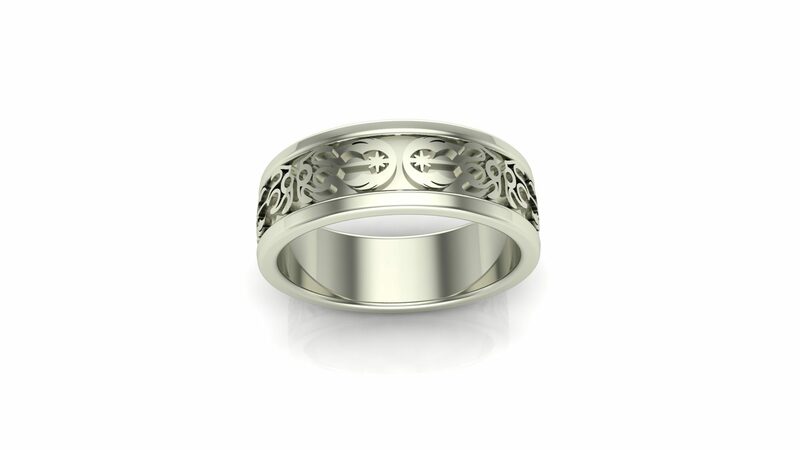 Our Rebel Alliance Star Wars Wedding Ring can be cast in Sterling Silver, Argentium Silver, white, yellow, or rose Gold, Platinum, or Palladium. They can be made from 5mm to 12mm wide and in sizes 4-16. 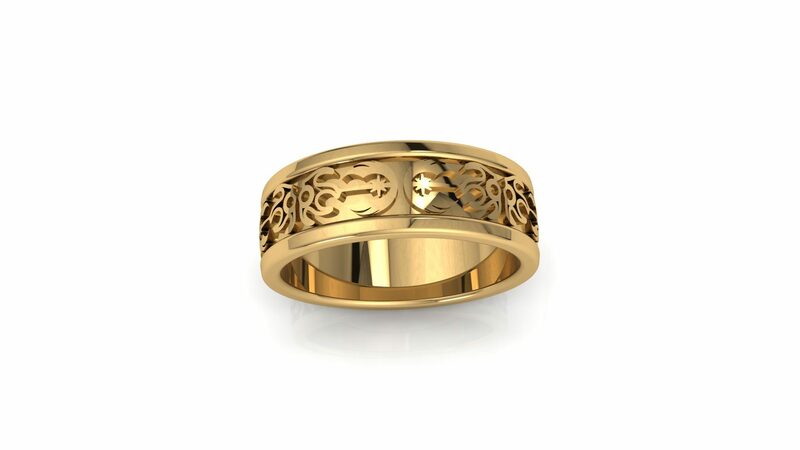 Click HERE to see another Star Wars Wedding Ring. Click HERE to learn more about custom jewelry, to see our portfolio, or to contact us about a Rebel Alliance Star Wars Wedding Ring. 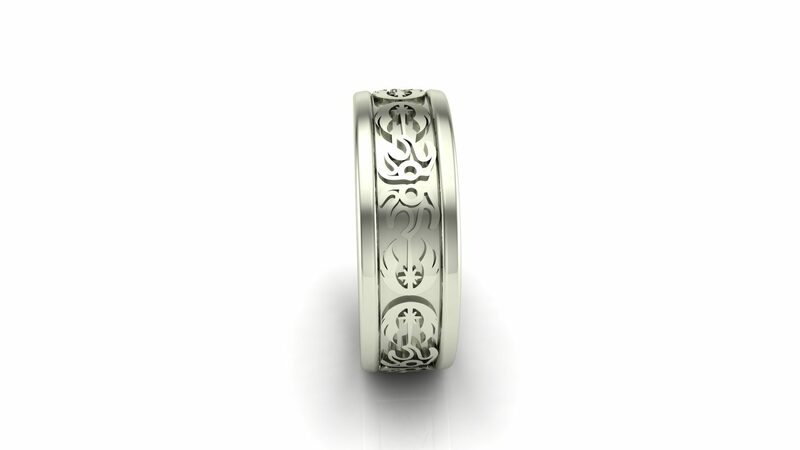 It can cost less than you think to have your very own custom Star Wars wedding ring made just for you. 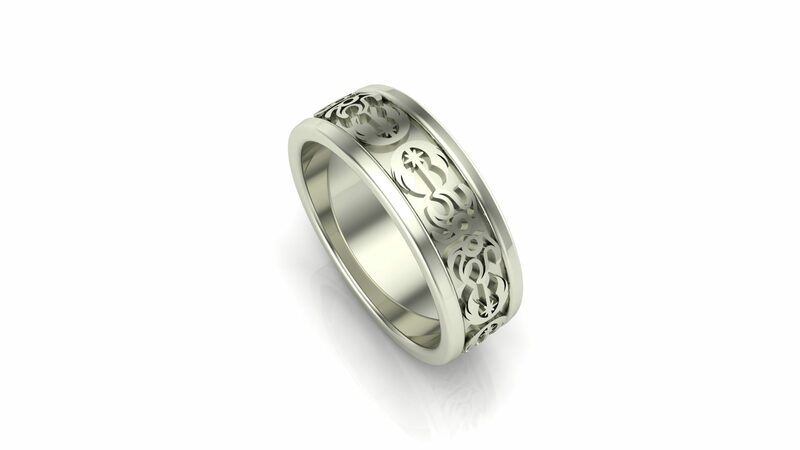 Why hassle with the retail stores for boring and overpriced wedding bands?